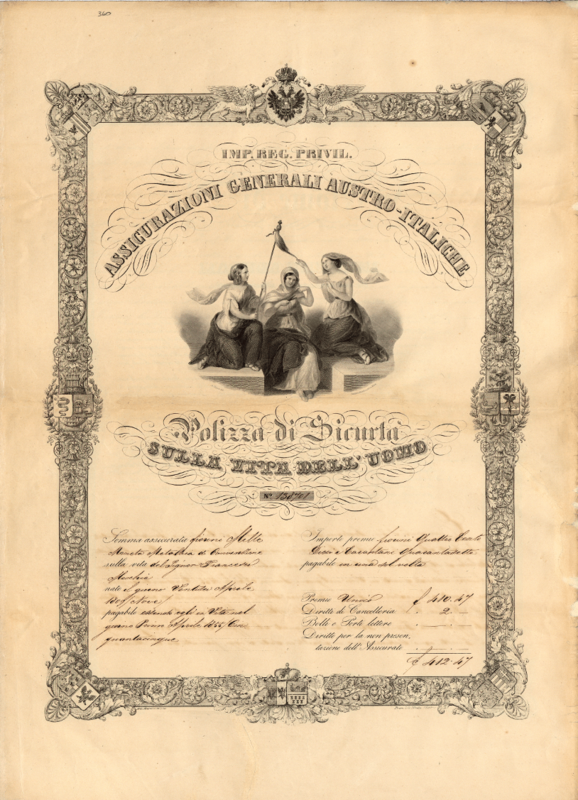 Illustrated albums, illuminated diplomas and other precious objects originally produced to mark significant personal and company anniversaries are now held in the Generali Archive. Unique documents that offer various possibilities of reconstructing the business life and changing tastes of their times. Among the Art Nouveau works, photo albums, and parchments decorated by leading illustrators of the era, are some interesting historical mementos, such as this black and white photograph in the central secretariat fonds, part of the Trieste correspondence volume of 1903. It came from Strelisky, a Budapest photographic studio with a history of over a hundred years, and shows three women against a background of clouds crossed by the rays of the sun, with the legend “Assicurazioni Generali” depicted in large letters. 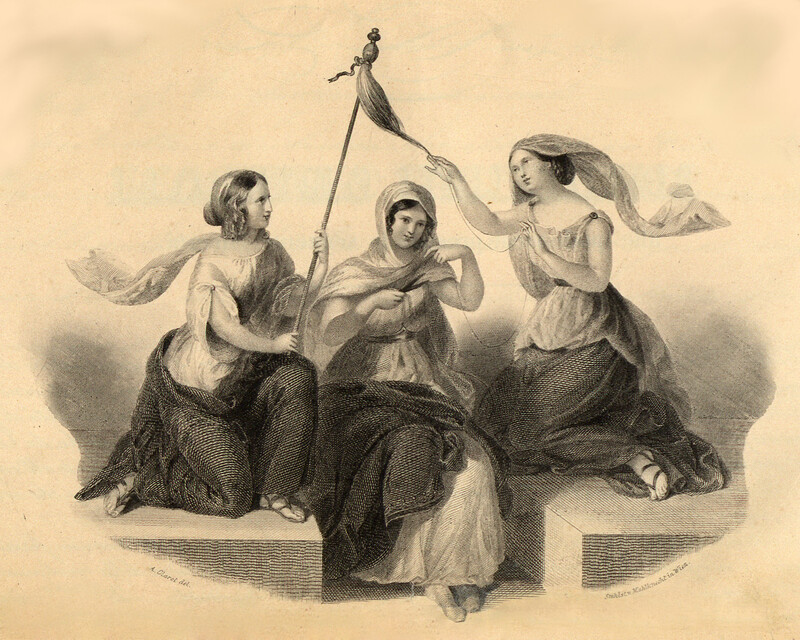 The female figures are clearly identified with the Moerae, or Parcae, the goddesses of destiny in Greco-Roman mythology: Clotho, who winds wool on a distaff to represent birth, Lachesis, who spins (life), and Atropos, who cuts the thread and represents death. 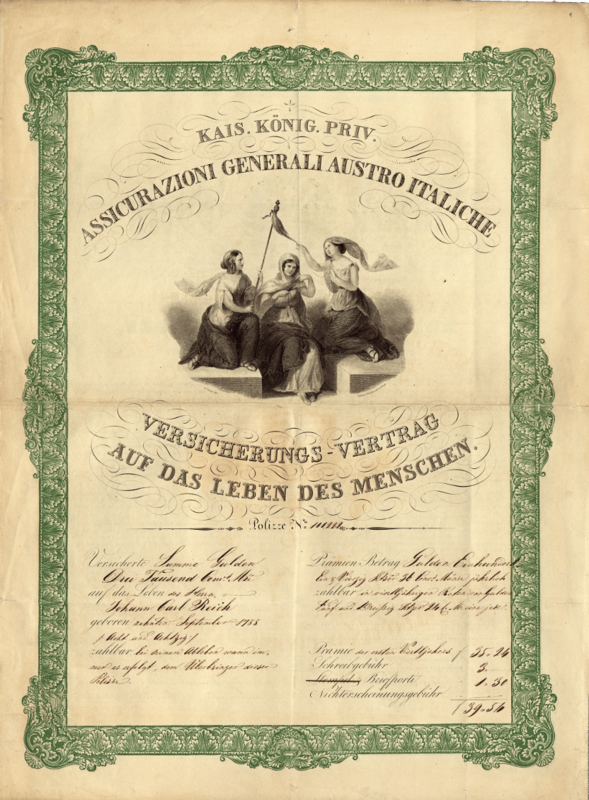 A stark reminder, and familiar imagery, from Assicurazioni Generali, who used it for more than half a century (it was etched by Karl Mahlknecht) in more or less elaborate forms on the cover page of life policies issued throughout Europe to emphasise the importance of financial security. But why a photograph representing the Parcae? The explanation is in the accompanying letter sent to Budapest by the secretary general. In it, Edmondo Richetti thanked employees Eugenie Aurada, Flóra and Helene Pólya for posing for this special photograph, created to celebrate the 25th anniversary of service of Jakob Poór, joint secretary, with Emil Steinhardt, of the Budapest general agency Steinhardt & Poór. The employee records held in the invaluable fonds of the Personnel Department make it possible to identify Eugenie in the middle and, on either side, the young Pólya sisters – Helene, born in 1877, and Flóra, born in 1879 – the daughters of Jacob, a Generali employee until his death in 1897.